A myriad of financial options are available to our online students. All of them can make getting your degree more affordable! Our job at Shorter University is to make your Financial Aid application process as smooth as possible. Apply for Admission to Shorter University’s Online Degree Program. File a Free Application for Federal Student Aid using your Federal tax return. Be sure to enter the Shorter University school code of 001591 on your FAFSA. Undergraduates who are Georgia residents should apply for the HOPE Scholarship and the GA Tuition Equalization Grant (GTEG). Complete the Shorter Online Financial Aid Application by logging in to our Online Financial Aid System. Based on how you complete your Shorter Online Financial Aid Application, additional forms might become required. Be sure to log back in within 5 days of submitting your online application for updates. Check your email! You’ll receive an email notifying you to check your online financial aid award letter. Be sure to accept or decline your awards and finalize your financial aid package. Please click HERE to review Shorter’s Financial Aid Orientation Packet. The financial aid process is a very time-oriented process. 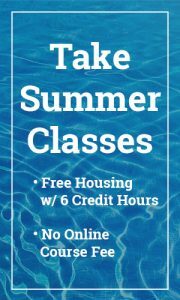 If you need financial aid in order to attend one of the degree programs at Shorter, you will need to complete the entire financial aid process first. You must be declared “financially ready” before you can be placed on a roster to start your classes. In order to be determined eligible for federal aid, you must submit all the required documents and any further documents the Office of Financial Aid requests from you in a timely manner. Please visit Shorter University’s Financial Aid page for more information.